Is Kellan Lutz about to fill Mark Wahlberg's boxer briefs? According to FOX News 411 Entertainment blog, "The Twilight Saga" star is slated to become the fashion house's next half naked billboard beefcake. "He's going to be their new Mark Wahlberg," a source told FOX. "Kellan has been signed to Calvin Klein for a huge campaign that will feature him in his skivvies all over billboards and in magazines." Kellan will reportedly star in a campaign that is said to pay homage to the famous 1992 campaign shot by the late renowned photographer Herb Ritts. "The executives have a plan to model the ads very similarly after the famous Mark Wahlberg campaign in the 90's," the source continued. "They want to recreate the look of the hugely successful ads, and who is better than Kellan Lutz to fill out those little underwear?" When contacted by Access Hollywood, a rep for Calvin Klein said, "We have not made any announcements yet about our Spring 2010 campaigns and we do not comment on rumor." 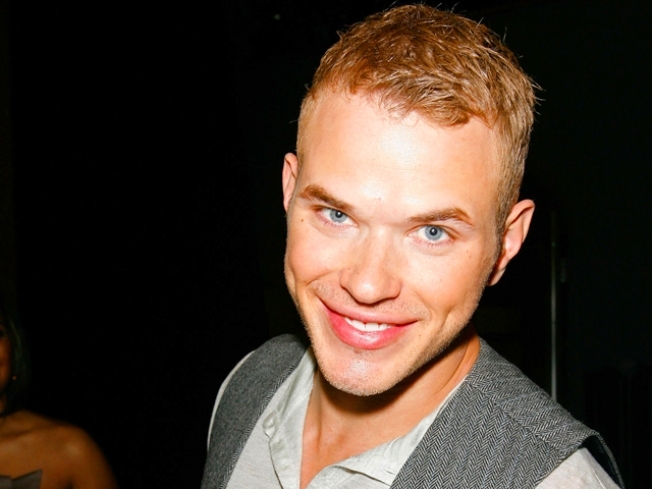 PLAY IT NOW: How Did Kellan Lutz Get His Luscious Lips?